What if there existed a world consisting of only two spatial dimensions? 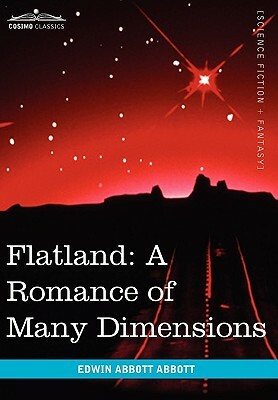 This mind-bending supposition is the jumping-off point for one of literature's most celebrated oddities: the 1884 novella *Flatland*, one of the earliest instances of modern speculative fiction, and perhaps the only instance of mathematical satire. In Flatland, a lowly square, whose polygonal betters exhibit more sides, discovers pathways to other worlds where, alas, thinking is as rigidly defined as in his own. Class structures, the position of women (who are but mere lines), and the stolidness of religious and political leaders are sent up with chilly aplomb. Beloved by fans of science fiction, students of dimensional physics, and readers of Victorian literature, this belongs on the shelf of any serious home library.